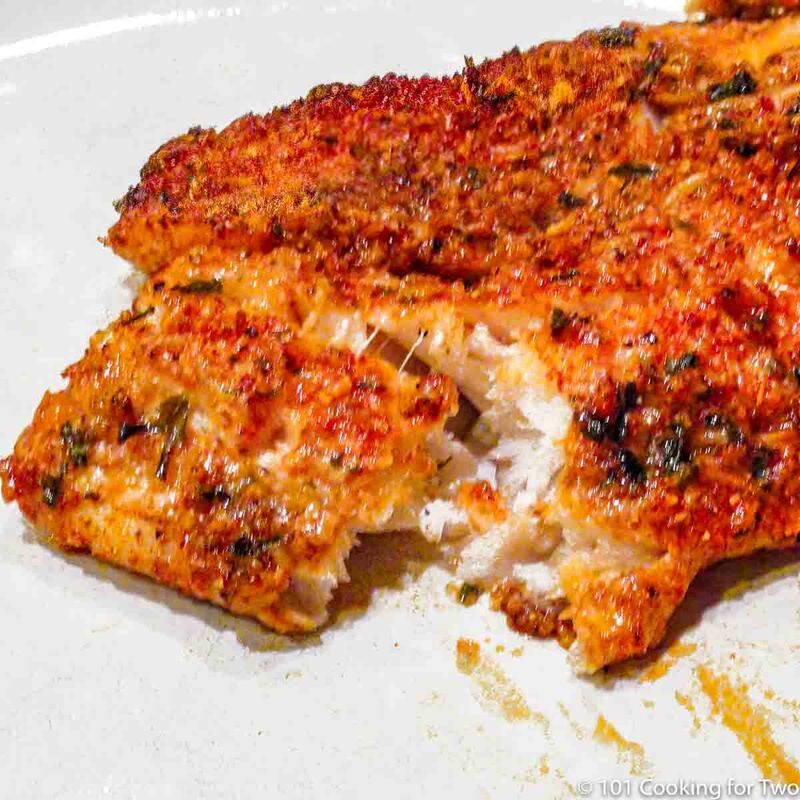 This easy oven baked Parmesan crusted tilapia is just wonderful with a crispy, flavorful Parmesan crust from only a few everyday ingredients. Editor’s Note: Originally Published December 18, 2010, which was the first year of the blog. The blog has grown 1000X since that time. 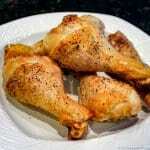 This recipe has been re-editing with expanded explanation and images have been updated. 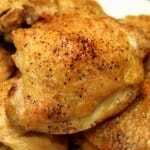 A quick and easy weeknight recipe with weekend appeal. This has become a standard in our home. It’s time to eat more fish. I need to and so do you. But easier said than done. This is a slight modification of a Rachel Ray recipe. A 5 for a fish person. Absolutely wonderful. Tilapia is frequently referred to as “the chicken of fish” due to its mild taste and ease of mass production on farms. But what is it really? So if you remember Biology 101, genus and species are used to name plants and animals (the taxonomic classification). For example, humans are homo sapiens. “Homo” is the genus and sapiens is the species. That little discussion is needed to define tilapia because tilapia is a genus and there are hundreds of different species of tilapia. With recent DNA analysis, two genera have been split out of the tilapia genus, but all are still commonly referred to as tilapia. But the overall point is lots of variation in tilapia but here are some generalized. They are generally fresh water inhabiting shallow streams, ponds, rivers, and lakes. Tilapia is native to Africa and the Middle East. 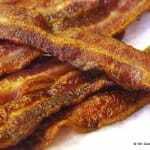 However, they’ve been distributed around the world, and they’re farmed almost everywhere. They can tolerate a wide range of temperatures and are very hardy. Due to these characteristics, they can act like an invasive species at times. While you can attack any farm-raised fish the for the method, or any farm product for that matter, the facts still support tilapia as a good source of low-fat protein. Tilapia is lower in omega-3 than some wild fish but lower in mercury. You can have that whole discussion about the impact of over-fishing of oceans. It goes on and on. If you want to debate this whole issue, do not comment here. This is a cooking site. I’m sure I know more nutrition and medicine than you and I will delete any comment about this issue. Fresh vs. Frozen: Fresh tilapia would work fine but here in the mid-west, frozen is the fish of choice usually. Think of transportation times. In larger cities, fresh would be a great choice. If frozen, be sure the fish is thawed completely. I try to toss the package of frozen fish in the refrigerator the day before, and that always works great. 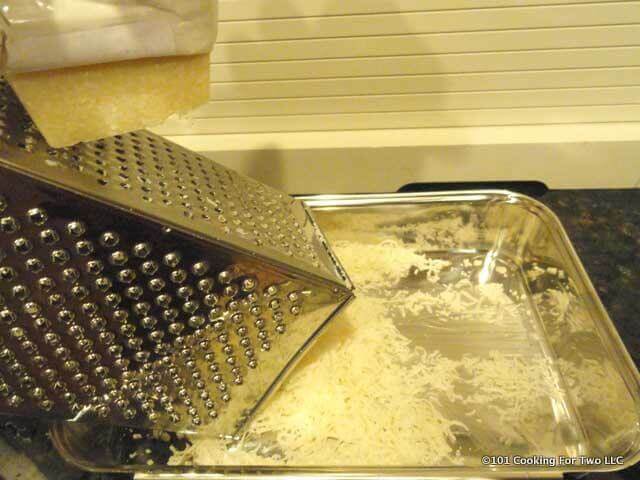 The Cheese: You need a good Parmesan since so much of the flavor is the cheese. I like to get a nice wedge of Parmigiano-Reggiano from Sam’s Club and shred or grate as needed. I use lots of Parmesan, and it will last me for at least six months. So, can you do this with a different fish? Preheat oven to 400 degrees convection. Wash and pat dry tilapia. 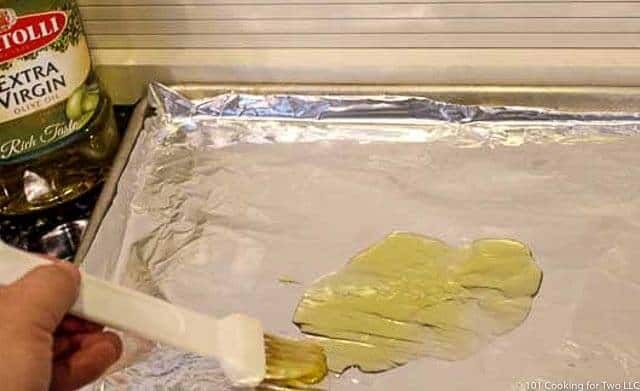 Line a baking sheet with aluminum foil and brush foil with oil. 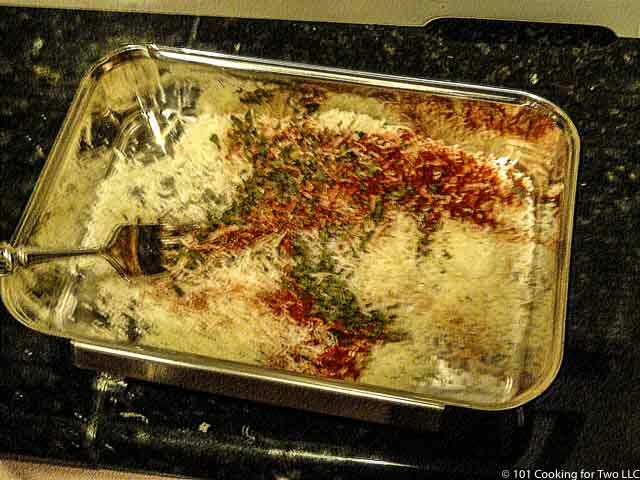 Mix Parmesan, paprika, parsley, salt and pepper in a shallow pan. 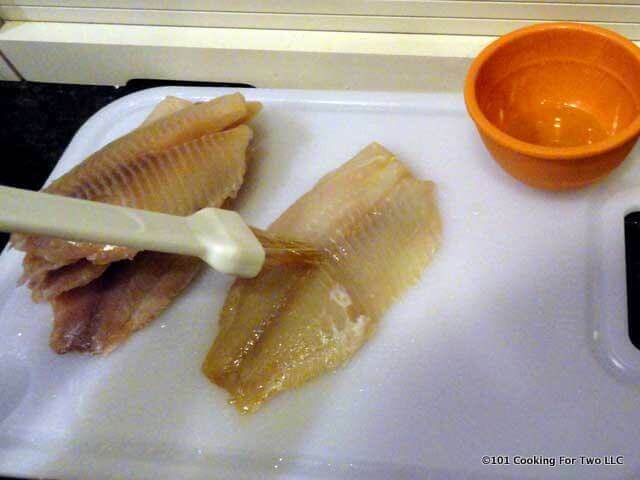 Brush tilapia with oil on both sides and then dredge in the Parmesan mixture patting the coating on. Place on the baking sheet. Take some of the remaining Parmesan mixture and pat on top of the already coated fish. Bake for about 10-12 minutes until flaky. 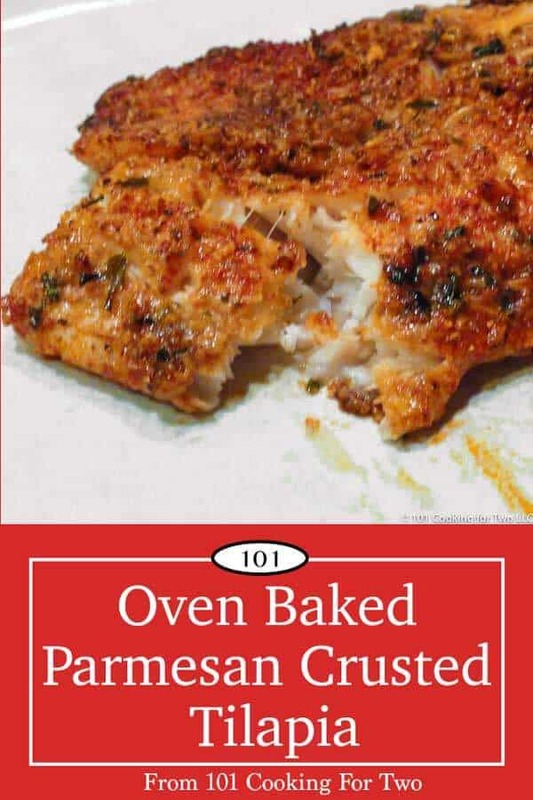 This easy oven baked Parmesan crusted tilapia is just wonderful with a crispy flavorful Parmesan crust from only a few everyday ingredients. Preheat oven to 400 degrees convection. Line a baking sheet with aluminum foil. Brush with oil. 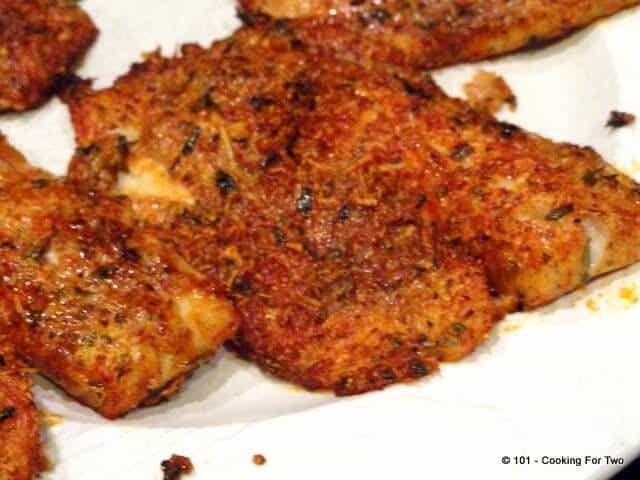 Brush tilapia with oil on both sides and then dredge in the parmesan mixture patting the coating on. Place on the baking sheet. Place on the baking sheet. Take remaining parmesan mixture an pat on top of the already coated fish. 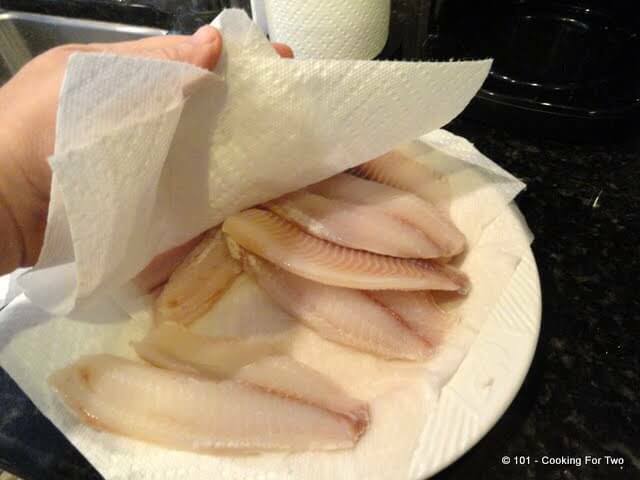 You can use fresh or frozen tilapia that is completely thawed. The quality of the Parmesan cheese matters a lot in this recipe. I like to add a little extra topping just before going into the oven. 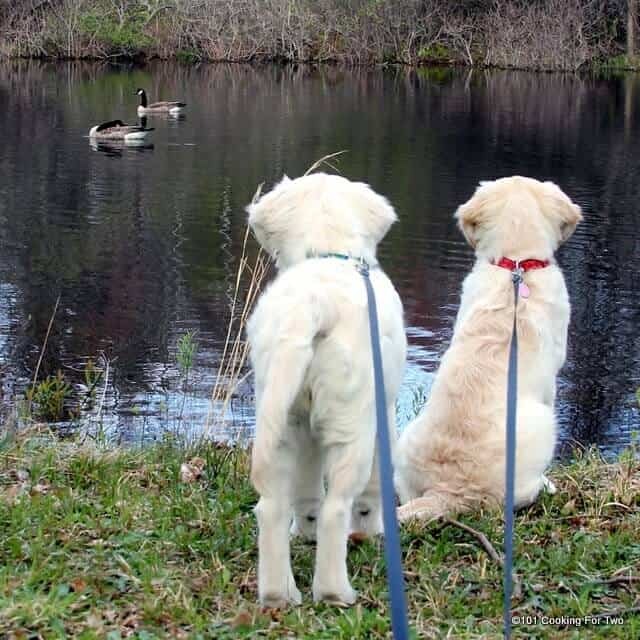 Blast from the past puppy picture. Loved this recipe and the fact that it is very carb friendly without breadcrumbs in the coating. Even my picky toddler and husband loved it! Served it with some roasted broccoli and it was a hit. I will definitely be making this tilapia again!